Registration is for 550 race admissions for teams of two participants each. 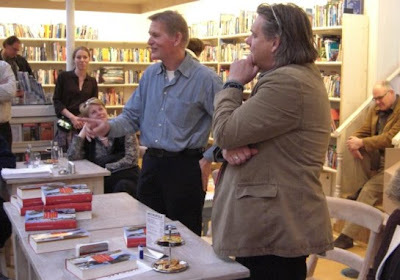 Question: Uli, what is special about JTT’s new course in 2010? 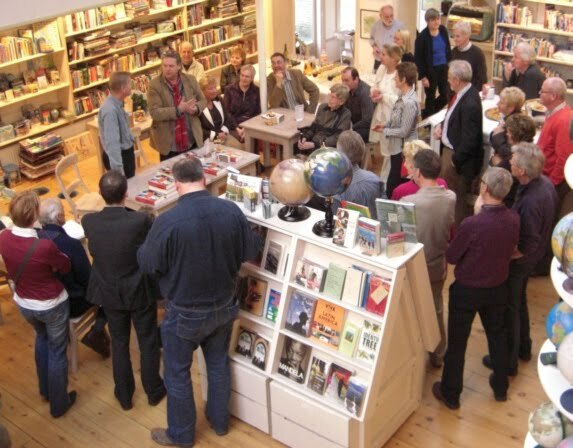 Uli Stanciu: Let’s start at the beginning – our new location of Mittenwald. Bike Transalp’s tried and tested location will get a chance next year, since Oberammergau is hosting the passion plays in 2010 with tens of thousands of visitors expected to pour in. Question: What does that mean for the course? Uli Stanciu: Well, as a matter of fact, I’m glad that – after seven consecutive years – we’re not starting across the Hahntennjoch this time. From Mittenwald the course will lead right through beautiful Leutasch, then down to Inn Valey into Telfs and eventually across the first difficult pass, the so‐called Kühtai in Ötztal at 2,000 meters of altitude, and then to Sölden on the route of the famous Ötztal Marathon. Uli Stanciu: … That’s right, and it is the gateway to the highest pass of the tour, Timmelsjoch with an altitude of 2,509 meters. Then – just as in the years before – we’ll go across Jaufenpass to Sterzing and on via the old Brenner highway into Brixen. Before that, though, we’ll take a little side trip across Schabs. That means a short but steep uphill section. I know many participants will be groaning here.But it’s the only way to get to the beautiful cathedral square in the city center of Brixen without having to take the very busy main highway. Question: And then it’ll be the Dolomites…? Uli Stanciu: Oh yes, it is a fabulous course. First we’ll ride across Würzjoch with its incredible panorama to the Geislerspitzen and Peitlerkofel. This time around we will take a slightly different route via Lüsen to Würzjoch. It will be a very solitary and narrow asphalt road, a bit shorter, but also somewhat steeper. By any means, this is going to be the stage of the steep climbs – later we will ride around Kronplatz and across Furkelpass into St.Vigil. The Furkelpass has a couple of mean slopes with up to 16% climb. At this point you’ll need at least a 30‐tooth front sprocket. The downhill portion into St.Vigil isn’t half bad, either – there’ll be some very narrow serpentines. At the briefing on this section I’ll be sure to say my bit on safety and responsible biking. Question: St.Vigil has always been one of the most popular stage hosts,right? Question: King’s stage, what does that mean? Uli Stanciu: It is the longest and most demanding stage of this Jeantex Tour Transalp: It may be just short of 130 kilometers – we’ve had much longer stages in the past – but there’ll be five passes and a difference in altitude totaling 3,449 meters – that is going to be really hard work. But participants will be compensated for that with the most beautiful panorama imaginable. Pure Dolomites, gigantic rock massifs, a feast for the eyes. This time we’ll ride three quarters of the famous Sella Ronda, first Grödnerjoch, then Sellajoch, and finally Passo Pordoi. And then we’ll top it off – first Falzarego toward Cortina and finally the most beautiful Passo Giau. More Dolomites in one day? Impossible! Question: From Kaltern the course will lead to Trento for the first time? Uli Stanciu: Kaltern, too, is a top stage host; the atmosphere in the evening at the winery is always fantastic. Yes, then we’ll continue on the new course toward Neumarkt and up into Truden. That, too, is a steep section. That’s when you realize that while this year’s Tour Transalp course may be relatively short with 776 kilometern, it will also have a difference in altitude totaling 19,928 meters – more than any Tour Transalp in the past. Then we’ll ride to Molina in Fleimstal and across solitary Manghenpass and through Val Sugana into Trento. Uli Stanciu: … and so much greater the surprise will be, I think. Piazza Duomo in Trento is just fantastic. That is Italy; wonderful, medieval atmosphere. That will sure be a great night at those charming street cafes. But the last stage toward Arco has something special in store, too: we’ll ride across Monte Bondone, this landmark mountain with its transmitter at the top, which is clearly visible from as far away as the autobahn at Trento. On exactly this Saturday, the great auto race “Trento – Bondone” will be taking pace. Therefore this mountain road will be closed for traffic all day. Since the race starts at 11 o’clock, we’ll be able to cross those 1,400 meters in height in time on the closed off roads. There’ll probably be already many spectators cheering us on. That means, however, that we’re going to have to leave Trento at 8:15 in the morning, so the auto race won’t catch up with any trailing Transalp riders. Uli Stanciu: Well yes, but it also means that we’ll arrive in Arco early and have even more time for our huge victory celebrations. Stories for the Italian Cycling Journal welcome; contact me at veronaman@gmail.com. There are more than 1,000 stories in this blog; the search feature to the right works best for finding things in the blog. Barbara Pedrotti, whom I mentioned yesterday, is the very popular Giro d'Italia broadcaster. With sheer determination, toughness, and intelligence she became the first female voice of the Giro. As a young girl she dreamed of becoming Miss Italy. Then, she fell in love with the world of cycling. Pedrotti explains, "I love cycling. Seeing the old families along the roadsides awaiting the arrival of their champions. Grandparents, mothers, fathers, sons and grandchildren, as a celebration of the country, with panini and salami ... it's beautiful, is it not?". Fortunately, Pedrotti has renewed her contract and we will be able to see her again next year during the Giro. How popular can a gran fondo event be? 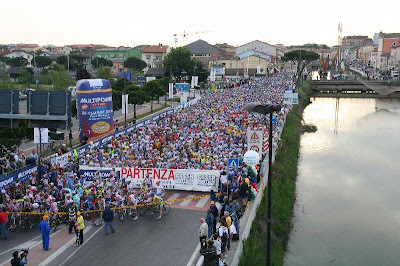 Today, in the first three hours of online registration for the Gran Fondo Nove Colli there were 3,647 registrants! The regions most represented were Lombardia (614 entries) followed by the Emilia Romagna (508) and then Lazio (424). The most represented nations where Switzerland (109 entries), Belgium (43) and Germany (41); also 9 Australian and 1 Japanese entries. Selected detail photographs from the Speedbicycles museum in a 2010 wall calendar. Twelve colored photo pages on fine 200 g/m2 heavyweight "Fedrigioni Acquerello" paper. 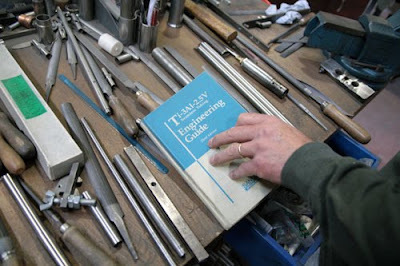 Double spiral binding incl. front page, transparent sheet and index page. Low number book-on-demand print. Printed in Germany. Size 297x210mm (11.7x8.3inches); weight about 250grams. $49.00 including shipping anywhere in the world. Details here. 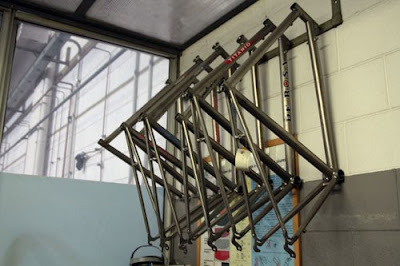 Speedbicycles, in Switzerland, has a formidable collection of bikes. I'm sure the calendar, although somewhat expensive, will be very beautiful and would make for a special Christmas present. 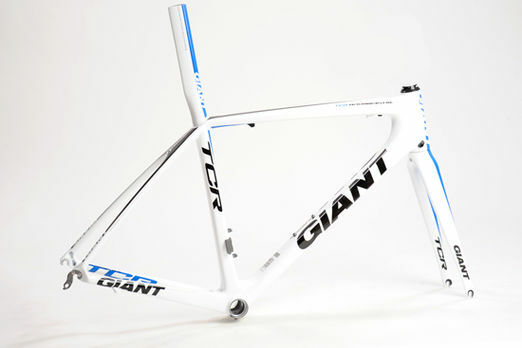 Italy will be the first country in the world to receive the new gloss white version of Giant's TCR Advanced SL ISP frame, the same frame used by Denis Menchov during the 2009 Giro d'Italia. The black satin SL ISP version has been a popular bike at the Italian Autumn bike shows. 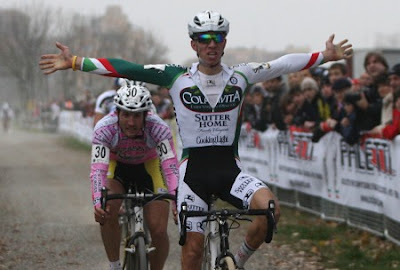 The second stage, 2° prova, of the GIRO D’ITALIA CROSS was held in Modena on November 22nd. The women's stage winner was Vania Rossi, and in the men's race the stage victory and the leader's pink jersey went to Luca Damiani. The third stage in the series 3° will be held December 8th in Faè di Oderzo (TV). Photographer Steve Hiet shoots models Linda Vojtova, Emina Cunmulaj, and Rianne Ten Haken, and three Bianchis for the April 2005 issue of Vogue Italia. 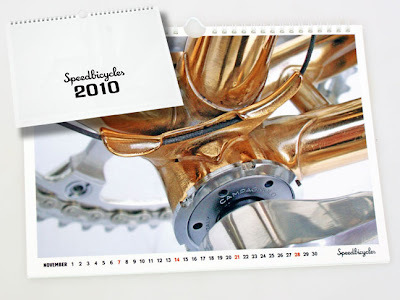 Stories for the Italian Cycling Journal welcome; contact me at veronaman@gmail.com. There are more than 1,000 stories in this blog; the search feature to the right works best for finding subjects in the blog. Registration for the 2010 Gran Fondo Nove Colli starts tomorrow, November 28 at 0900 Italy local time, online via www.novecolli.it. The biggest gran fondo in Italy, there will be 12,000 slots available for the 40th edition. 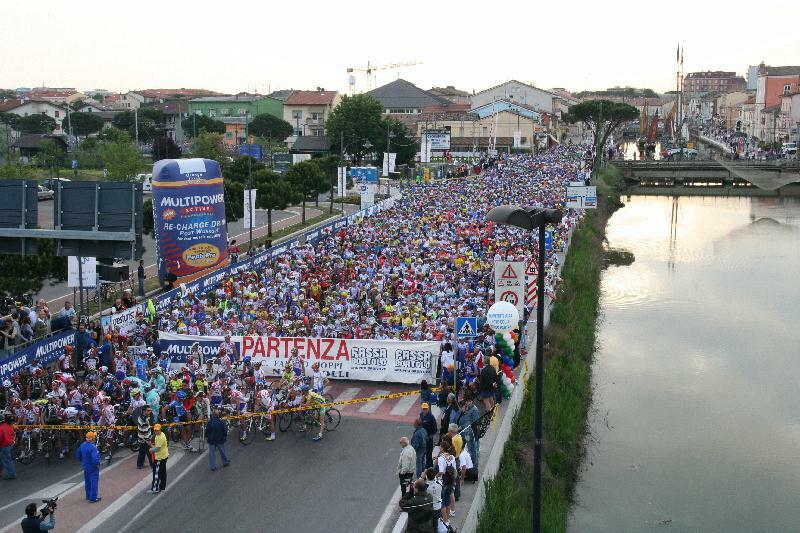 The race start is in Cesenatico, home of Marco Pantani, on Sunday, May 23, 2010. More details in this previous entry. Stories, including cycling trip stories, for the Italian Cycling Journal welcome; contact veronaman@gmail.com. See here for a chance to win a T-shirt for submitting a story, contest ends October 31st. Speaking of Alessandro Petacchi.....he was in Sanremo a few days ago for an awards ceremony at the Casinò di Sanremo and took the opportunity to study the probable new finish for 2010 (20 March) during a casual ride. The proposed finish will be 1 km shorter than the previous two editions, only 1.8 km from the descent of the Poggio. Petacchi observed, "It is a complicated sprint. From the foot of the slope of the Poggio there is less time to organize and the the final straight is narrower. It will favor attackers, with a few seconds lead you can make it to the finish. It will also be important to be at the front at the top of the Poggio." 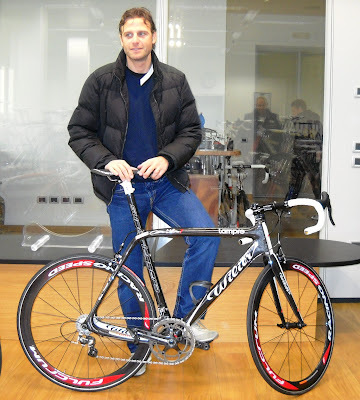 Alessandro Petacchi visited the headquarters of Wilier Triestina in Rossano Veneto (VI) to finalize the construction details and finishing of the Wilier Cento1 Superleggera that he will ride with Lampre-Farnese Vini in 2010. 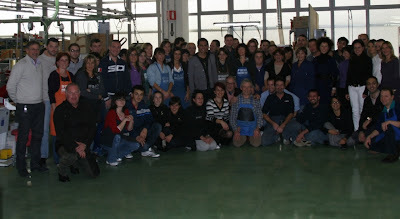 Accompanying Petacchi was Giuseppe Saronni, team manager, and together they were shown through various areas of the Wilier plant by the Gastaldello family, owners of Wilier. 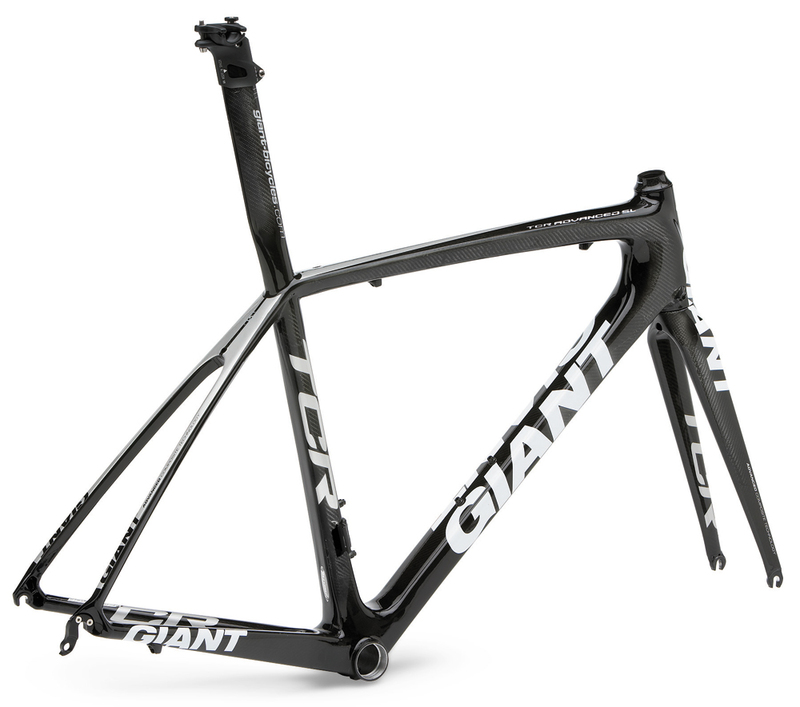 Petacchi will be riding a modified version of the Superleggera model, the model introduced this past summer for the the Tour de France. Although the Superleggera, weighing approximately 900 grams, already had reinforcements at the most stressed points, Petacchi's bike will have additional reinforcements in order to avoid the slightest loss of stiffness in the sprints. A portion of the patent application applied for by Campagnolo: "In another alternative, the transmission system has a sprocket assembly comprising a combination of twelve sprockets selected from the following: a first combination with sprockets having 11, 12, 13, 14, 15, 16, 17, 18, 19, 20, 21, 23 teeth respectively; a second combination with sprockets having 11, 12, 13, 14, 15, 16, 17, 18, 19, 21, 23, 25 teeth respectively; a third combination with sprockets having 11, 12, 13, 14, 15, 17, 18, 19, 21, 23, 25, 27 teeth respectively; a fourth combination with sprockets having 12, 13, 14, 15, 16, 17, 18, 19, 20, 21, 23, 25 teeth respectively; a fifth combination with sprockets having 12, 13, 14, 15, 16, 17, 18, 19, 21, 23, 25, 27 teeth respectively. " 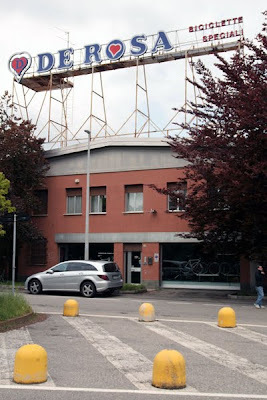 Lampre-Farnese Vini team manager Giuseppe Saronni has expressed surprise that his team's registration (an annual procedure to check that teams have the team and budget in place to carry out their activities during the coming season) was denied. The UCI ProTour Council (UPTC) announced that it had ruled on the registration applications submitted by UCI ProTeams and candidates for ProTour licences. 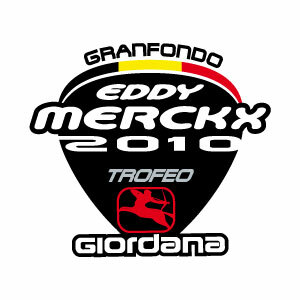 Seventeen teams were successfully registered for the 2010 season, however, Italy's Lampre-Farnese Vini team was not. The matter has now been referred to the UCI License Commission which will make a decision on whether or not the team's UCI ProTour license will be withdrawn. "The decision of the UPTC is surprising", said Saronni. 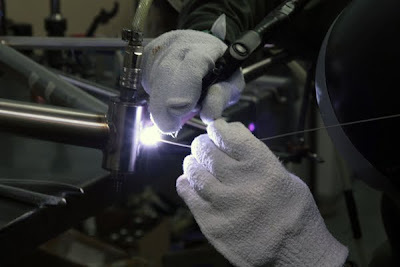 "Now we will attend to understanding which points of our dossier the UCI requires clarification of. Certainly, at this point I would rather be thinking of the sports aspect of 2010 but now I see I will have to work on administrative and bureaucratic issues. I am ready to go to work immediately, as always, to clear up the situation and guarantee that Lampre-Farnese Vini occupies the position it deserves in cycling's elite." The UCI ProTour license and the registration of UCI ProTeams are two different things. To be part of the UCI ProTour, a team must obtain a license (valid for 1-4 years) the award of which is based, in particular, on sporting, ethical and financial criteria, taking into account the team’s history and guarantees provided for the future. The license implies the right and obligation to participate in all UCI ProTour events. As for registration, this is , as indicated above, an annual procedure to check that teams have the team and budget in place to carry out their activities during the coming season. 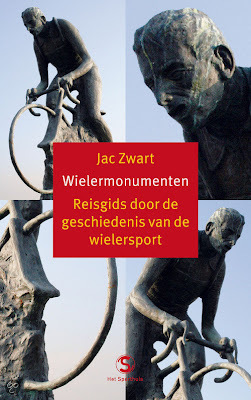 Jac Zwart from Holland recently wrote to say that he had discovered the Italian Cycling Journal and was particularly interested in the under-construction entry entitled "Cycling Monuments, Memorials, Plaques, etc." During the past 2 years Jac has been passionately looking for memorials of great riders and events from, in most cases, the past. When he had a collection of approximately 150 monuments from all over Europe he was able to find a publisher for his book, "Wielermonumenten - Reisgids door de geschiedenis van de wielersport". The English translation of the title is "Cycling Monuments - Travel Guide through the History of the Sport of Cycling"; the book is only available in Dutch. 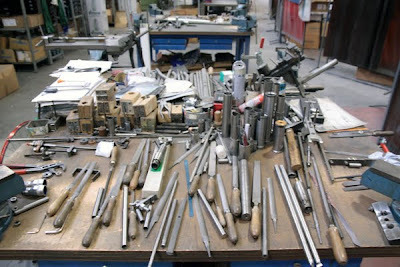 His book includes 33 cycling monuments in Italy although his collection now includes 70 monuments now. The criteria Jac uses to define a cycling monument are: 1) artistic value 2) related to sport and 3) for a person or an event. Plates of street names are outside those criteria. Jac hopes to provide us with an occasional story and photos of the Italian memorials he has discovered. From September 18th to October 31st we ran a contest for anyone submitting a ride story about Italy and which was published. The winner to be selected in a random drawing. The prize was a VELO-RETRO T-shirt of the winner's design/color/size. 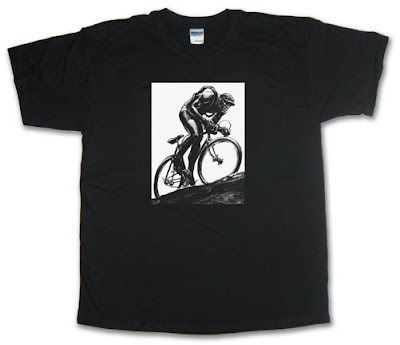 VELO-RETRO offers unique T-shirt and musette designs, and reprints of catalogs. A website definitely worth a visit. The owner of VELO-RETRO, Chuck Schmidt, also organizes a vintage bike ride which starts at the Rose Bowl in Pasadena, California, the first Sunday of every month. More details at VELO-RETRO. 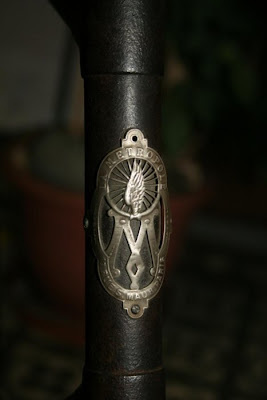 Sicily 1,000 Km Brevet, the "Sicilia No Stop"
The first 1,000 km approved brevet in Italy, by the Audax Club Parisien, will be returning in 2010 for its 6th edition from 20 to 23 September. The start will be at Piazza Marconi in the town of Patti (ME) at 0700 on Monday 20 September. Riders will ride counterclockwise around Sicily and must complete the course by 1000 Thursday, 23 September. 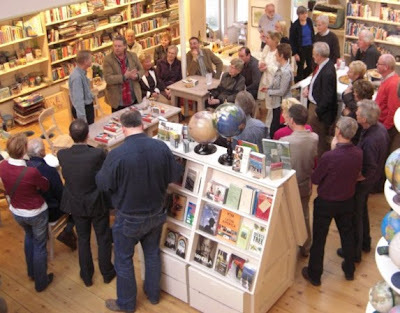 The event is organized by the A.S.D. CICLO TYNDARIS club of Patti. 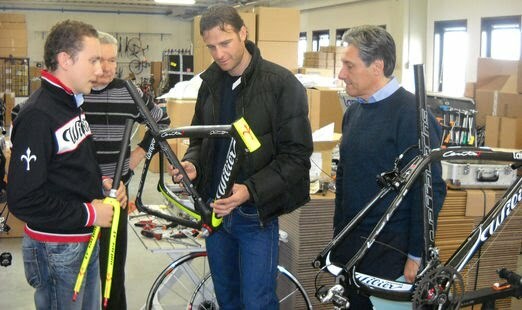 Last week Alberto Contador made a visit to the Sidi Sport general headquarters in Maser (TV). All the Sidi Sport staff were on hand for the occasion to meet one of their greatest champions who has won the Tour, the Giro and the Vuelta wearing Sidi shoes. Contador was presented with a special edition of Sidi Genius 6.6 Carbon shoes. The Genius 6.6 Carbon shoes, together with the Ergo 2 Carbon shoes, are the top of the line models in the 2010 Sidi Sport collection. 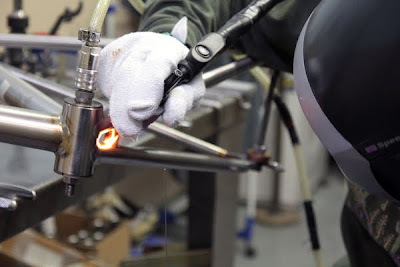 Compared to the models worn by Contador in his last two seasons,the main improvements involve the introduction of the new Carbon Lite Sole, made by hand and developed using a mix of composite materials intended to maximise the resistance of the sole which undergoes prolonged stress during racing and to make it both lighter and crush proof over time. The shoe also features new graphics to celebrate the 50th anniversary of Sidi Sport in 2010. Alberto Contador’s new shoe is the Genius 6.6 Carbon with a full white cover enhanced with golden finishing on the uppers; the technical closure and heel are completed with graphics featuring three crowns: yellow, pink and gold to commemorate his three respective victories in the Tour de France, the Giro d’Italia and the Vuelta a España. Sidi Sport was founded in 1960 by Dino Signori, who continues to manage the company today with the same passion and enthusiasm as when he started. Sidi has become part of cycling legend thanks to extraordinary performances by champions such as Bernard Hinault, FrancescoMoser, Sean Kelly, Giuseppe Saronni, Laurent Fignon, Maurizio Fondriest, Miguel Indurain, Tony Rominger, just to name a few. More recently the great classics riders Michele Bartoli and Franco Ballerini, and two World Championships and Olympic gold for Paolo Bettini wore Sidi shoes. Now the torch has been passed to the next generation with Contador, Valverde, Sanchez, Gilbert, Pozzato and other young talent. 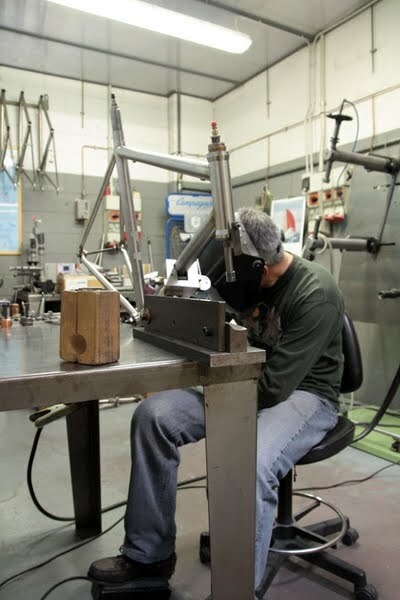 I first learned in the January, 2008, issue of Italian magazine CT that Doriano De Rosa, son of Ugo De Rosa, is the sole builder of the Ti (titanium) frames at De Rosa. Subsequently I learned that Doriano builds only approximately 100 frames per year, all to measure. 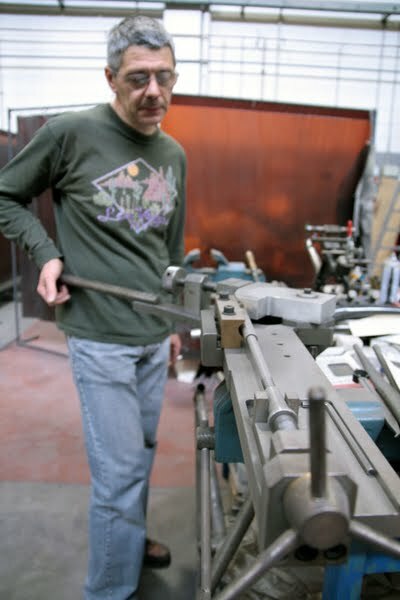 Doriano began framebuilding with Ti in 1993. 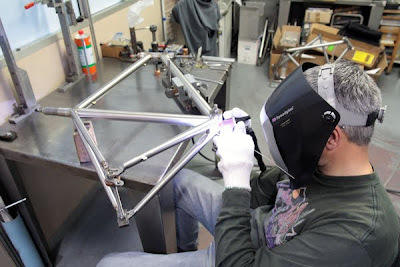 Of learning to build in Ti, Dorian said, "I learned through trial and error, like my father when he began. I have a gray hair for every mistake I made in learning to work with this material." 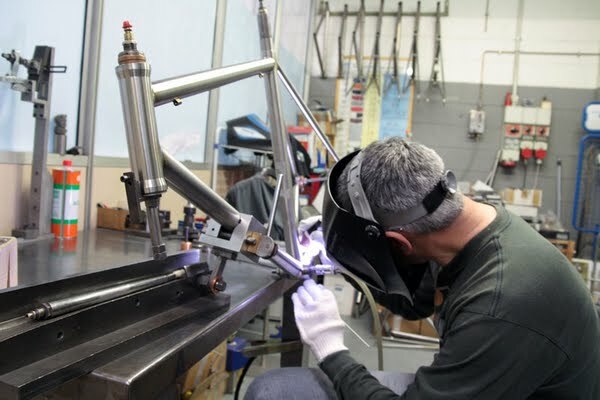 With Dorian, De Rosa continues in the most authentic tradition of "Made In Italy". There was recently a vintage bike exhibition, in collaboration with Museo Alfredo Binda, held in Ispra (VA). 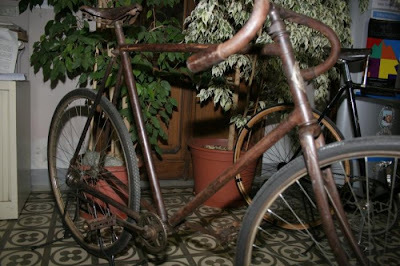 The exhibition featured bikes from the collections of Messieurs Cremonesi, Garavaglia, Giuffre, Landoni, Trovati, and Venturini. 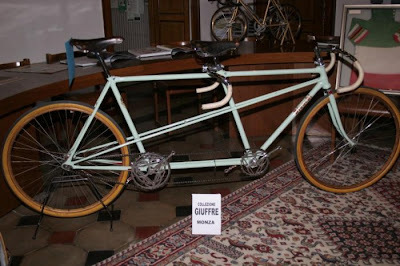 A Bianchi tandem from 1948, the model used by Renato Perona and Nando Terruzzi at the 1948 London Olympics where they won a gold medal. 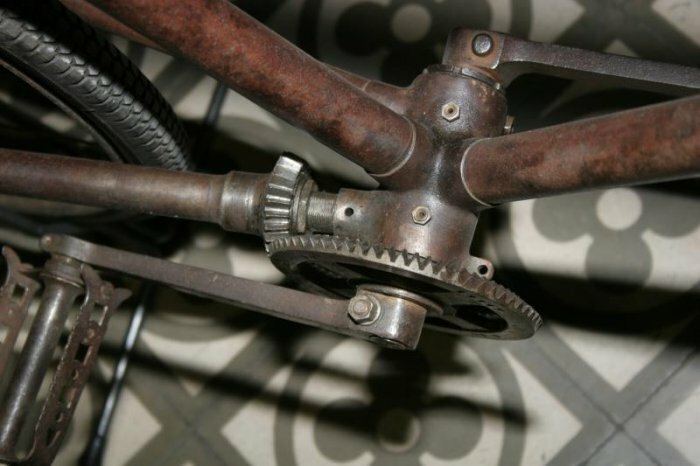 A French 1895 Metropole that featured a shaft transmission. It would be interesting to learn more about these private collections.